Show someone special how much you care by sending our gorgeous assortment of fruits and flowers. 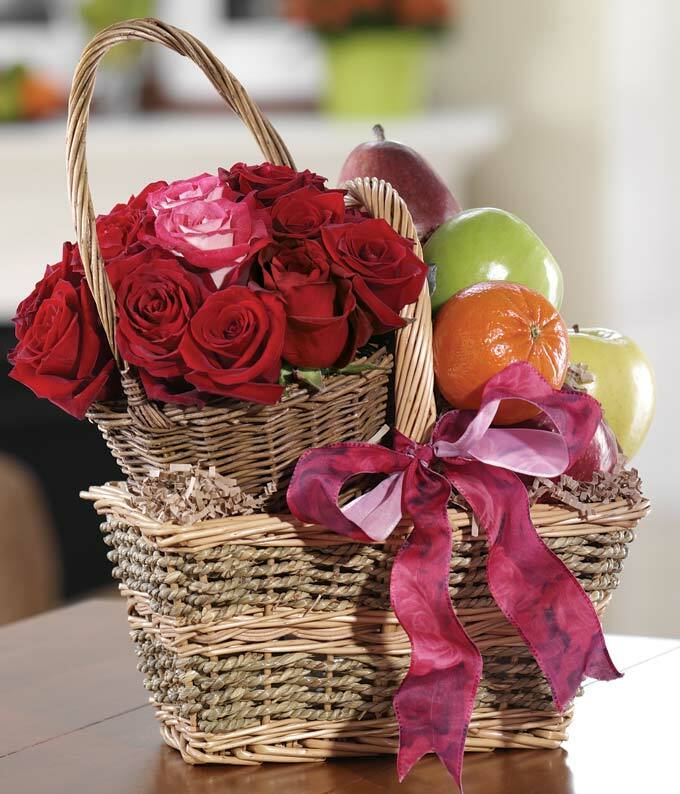 Stunning red and pink roses arrive in an elegant round basket, which is accompanied by an assortment of fresh fruit including delicious crisp apples and citrus fruit, in a large rectangular basket. Measures approximately 18"H x 13"W X 10" D.